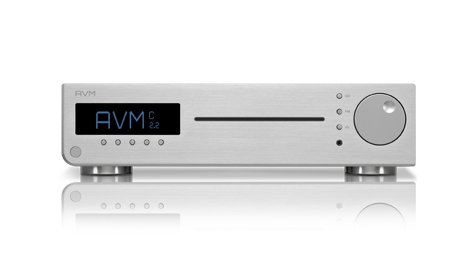 With the new generation of the Inspiration C 2.2 All-In-One CD receiver we have lifted an old dream of a radically compact but great sounding high end music system finally to the next level. With its breathtaking sound performance on the highest level the C 2.2 leaves the user breathless with its reduced-to-the-max design in a compact housing. The handcrafted and perfectly finished cabinet shows no evidence of assembly screws. Standard versions are aluminum silver or black whilst other finishes are available upon request. A beautifully shaped, rock solid full aluminum remote control is always included. All functions are intuitively accessible. Technologically the C 2.2 sparks all options for connecting other components. Synchronous USB input (no driver needed), high-class phonostage, and various digital input i.e. for connecting your TV etc. are in place. The power output stages easily handle large loudspeakers and drive them at all volume levels. Cutting edge technology is also applied with the digital signal processing applying AVM proprietary circuitries. All incoming digital signals are upconverted to 192kHz/24bit and are being processed from this format. 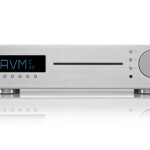 The PureCD Slot-in drive is supplied by TEAC as an exclusive for AVM. Just like all the units made by AVM, the C 2.2 is entirely handcrafted at our facility in Malsch/Germany. Most of our suppliers are also located in the vicinity. Extensive quality controls under roughest conditions at several stages of the production process ensure compliance with our high standards and ensure AVM’s reliability promise.